In today’s web-development, time is the essence. And the smallest amount of time at the end of the whole development process can be the most crucial: The time it takes for the user to receive the content. 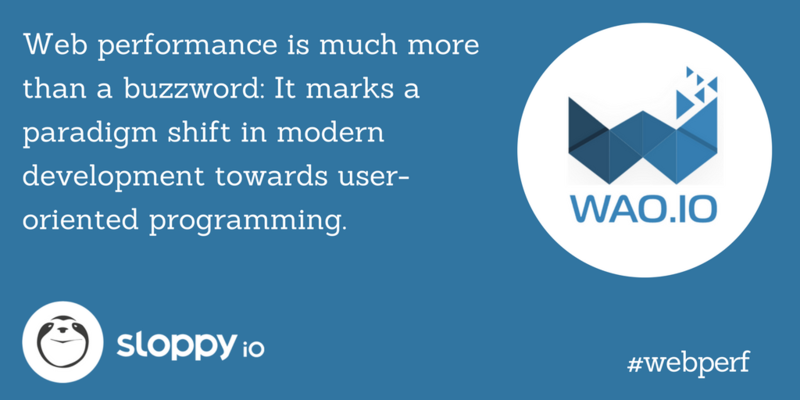 Enter wao.io, the service of our sister company, that boosts your frontend and lessens the time you spent on web performance. The term “web performance” has seemingly been kind of a buzzword in recent years, but it is much more than that: It marks a paradigm shift in modern development from developer-oriented to user-oriented programming. The first approach has taken us so far, giving us developers the means to achieve whatever we want to create in quick and efficient ways, from ready-made frameworks to continuous integration and delivery. sloppy.io embodies the virtues of this approach letting developers deploy and maintain complex infastructures in an environment that renders DevOps and operations tasks almost obsolete. The second approach has to some degree always been part of frontend development, but is now taking over as a whole. While communication designers and user experience experts have always had their say in what we developers were creating, web performance is all about what we can do in our native fields to enhance the quality of our creations from a user-oriented viewpoint. And just as sloppy.io helps getting rid of time-consuming tasks in our backend, wao.io refurbishes and tweaks our frontend to drastically reduce page load time. But implementing those features can by crucial for the success of your website as page load time is a key factor in determining whether users will abandon it even on first try or staying and appreciating your content. Imagine building up your project for months and months, only for an interested user to leave it immediately because it loaded too slowly! Better performance also means less bandwidth and that in turn means lower hosting costs. More so, the less data transferred in a query, the less power is needed to provide it, lowering the carbon footprint of your company, as a considerable side effect. To achieve these benefits and more, login to wao.io and enter your domain name (you can use the analzyer to see the potential in optimization first). 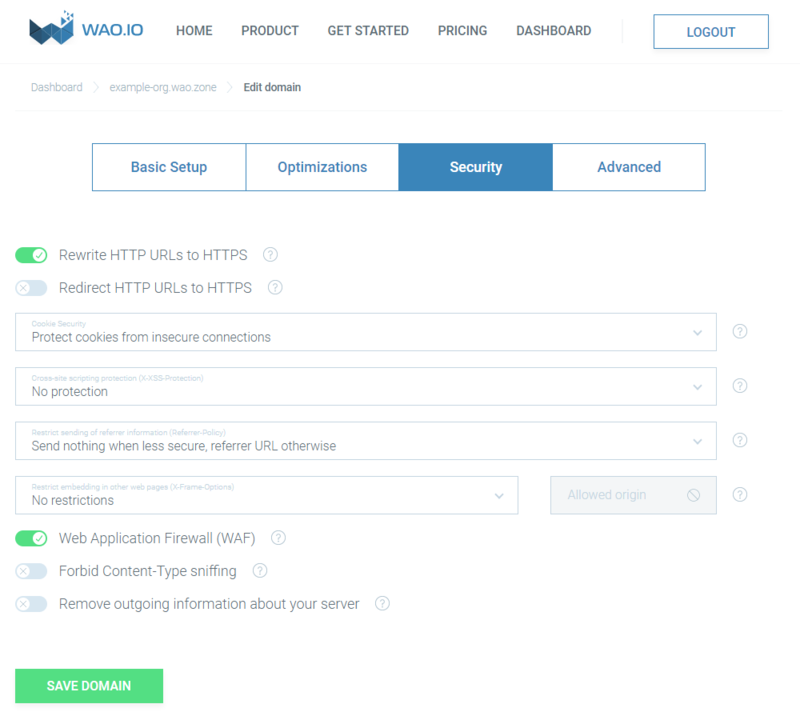 wao.io will then generate an optimized version of your website for you, complete with test URL. There are several opt-in and opt-out features that you can test under this URL, until you are satisfied with the outcome. The only thing it takes in the end is changing the DNS entry of your domain to wao.io and your users will receive a fast and steady website from now on. As a surplus, every domain on wao.io receives a free Let’s Encrypt SSL certificate, similar to our offer at sloppy.io – and further security measurements. 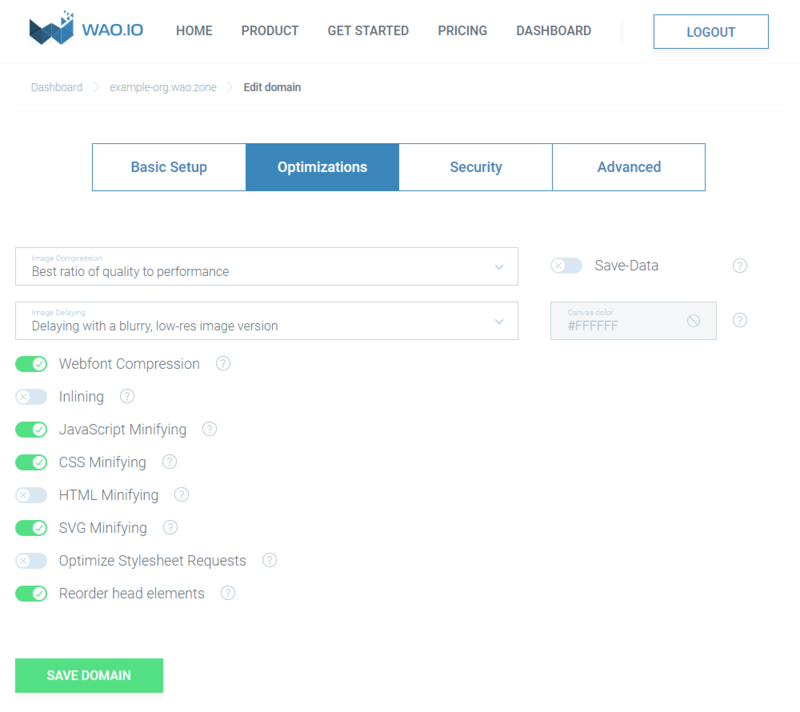 Also, the wao.io backend provides you with detailed analysis of your website’s performance and showing you how your website benefits from wao.io’s treatment. As we share the same spirit, wao.io’s developers are also eager to improve and expand their set of features, so follow their blog and twitter account to be updated regularly.